Zoë Booth is a flute player and teacher/conductor working across the Southeast of England. She studied flute with Martin Feinstein in London before moving to Manchester, where – at the Royal Northern College of Music, on a scholarship from the ABRSM – she continued her studies with Peter Lloyd, Richard Davis and some of the UK’s other most respected players. As a professional musician, Zoë’s playing has been commended through the awards of prizes, scholarships and competitions. Following her graduation from the RNCM and University of Manchester (joint course) Zoë Booth moved to St Albans, Hertfordshire, where she enjoys a varied career of performing, education work, conducting and writing; she is also an Examiner, Trainer and Presenter for the Associated Board of the Royal Schools of Music. In her performing life her main focus is chamber music, working with the Galadriel Ensemble (flute, piano and strings), and in the Pangenesis duo (flute and percussion), giving recitals and performances across the country and beyond. A natural combination of her performing with teaching, Zoë is experienced in presenting music education workshops, working regularly with children of all ages, as well as working within the community. Zoë is a committed teacher, working with adult and child students on a one-to-one basis, and coaching and conducting local ensembles and flute choirs for students of school age. 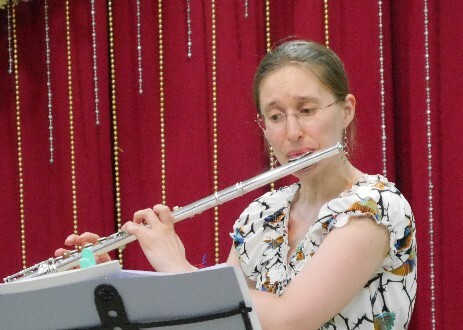 In 2003 she established the ‘Flutes at the Barns’ series of popular residential flute courses for adult players which are attended by players from across the world; she is now in demand, with experience of more than 70 residential courses as principal tutor, in the UK, Ireland, Italy, Spain and Sri Lanka, as well as even more Flute Days. 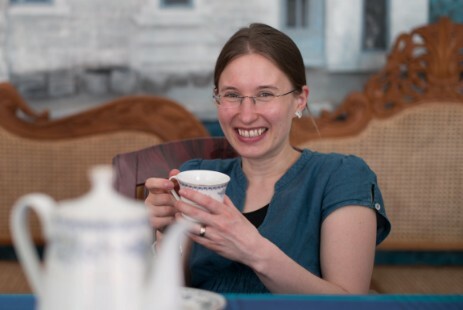 As a natural result of her performing and teaching Zoë began writing and arranging music for flute and other instruments in 2000; her first publications were released in 2006. Rachael Buxton was born in Norfolk and began playing the piano at the age of eight. She studied at the Junior Guildhall School of Music and Drama and went on to spend a year at the Royal College of Music, studying piano with Bernard Roberts and Simon Nicholls, and chamber music with the Chilingirian Quartet. She gained her BMus degree at King’s College London in 1997 whilst having piano lessons with Patsy Toh at the Royal Academy of Music. 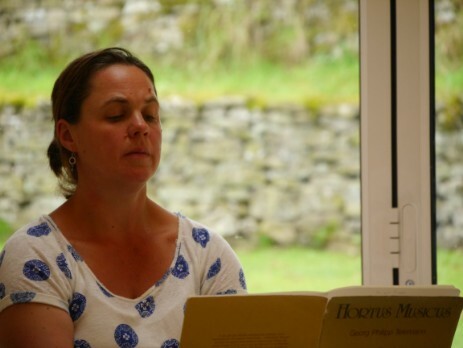 In July 2001 Rachael completed her postgraduate course in piano accompaniment at the Academy where she studied with both Geoffrey Pratley and Aaron Shorr. Rachael has also participated in masterclasses with Rudolf Jansen, John Streets and Geoffrey Parsons, and with Martin Isepp, Malcolm Martineau and Graham Johnson at the Britten–Pears School. Rachael is a busy accompanist regularly giving duo recitals with both singers and instrumentalists, she is involved with various chamber music projects including the Dorion Piano Quartet, Aristos (wind ensemble plus piano) and Galadriel Ensemble, and in 2008 took part in the Young Songmakers’ Almanac with the Bass-Baritone Jonathan Pugsley. Rachael has been a staff accompanist for the Britten-Pears Young Artist Programme, ‘Singing in Aragon’ International Summer Course and Music Festival in association with European Chamber Opera and also presently at Junior Guildhall. Her repetiteur experience includes British Youth Opera (Don Giovanni, and Albert Herring) Beaufort Opera and the Genesis Project, run by Aldeburgh Almeida Opera. She is currently staff accompanist at Leeds College of Music and she has been accompanying flute players on Flutes at the Barns since it began in 2003. Mark studied at the Royal Academy of Music with Jean Harvey and Ruth Harte, gaining the Advanced Certificate in piano and the Maud Hornsby Award for fourth year studies. Since graduating he has led a busy career as a teacher, performer, adjudicator, Associated Board examiner and accompanist (including at the National Theatre and for the Royal College of Music). Mark has given concerts at music clubs, festivals, schools and universities throughout the UK as a soloist and chamber musician, and has often performed with violinists Dimitar Burov and Joanna West, and clarinettist Janet Spotswood. He is also a regular performer for Music in Hospitals, and with Janet has given concerts across England, Wales and the Channel Islands. Mark has recently recorded four sets of piano pieces by the contemporary composer, Peter Heron. He combines his role of Head of Piano at Harrow School with his teaching at Haileybury College and Queenswood. 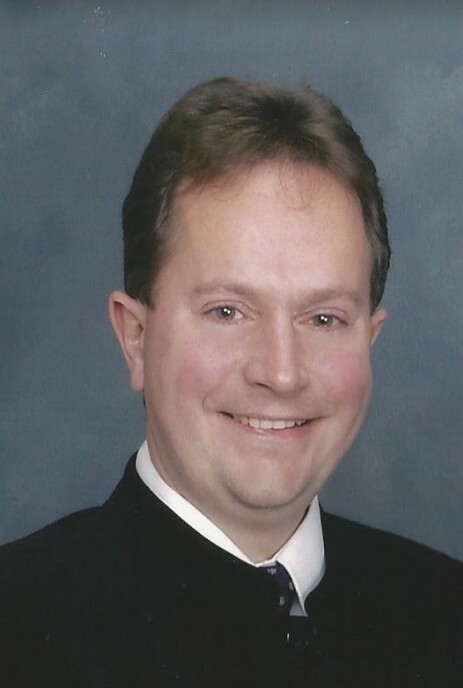 "Thanks to Mark, a great accompanist." "It's really nice to have the opportunity to play with an accompanist as you can hear the whole piece and how the two parts fit together which helps you to shape the music over time." "Our accompanist was first rate." "Mark is always so supportive and helpful." Having graduated at the Royal Northern College Of Music, Maria King continued her postgraduate piano studies at the RNCM, sponsored by the Countess of Munster Musical Trust. During this time, Maria was invited to study contemporary music in Paris. Maria has appeared both as concert soloist and duo partner at major venues across the country, including the Philharmonic Hall, Bridgewater Hall, Purcell Rooms, The National Portrait Gallery, St Martin in the Fields and the Lowry Quays Theatre. Also, she has given recitals at festivals including Northern Aldeburgh, Cheltenham (both Contemporary and International Festivals), Honiton, Rydale, Buxton and Bath. In addition, Maria has been recitalist at prestigious venues such as Chichester Cathedral, Hovingham Hall, Hillsborough Castle and Palace House Beaulieu as well as having performed a wide range of concertos. 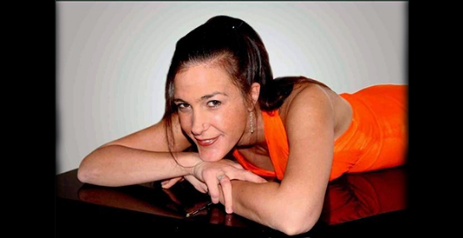 Apart from her concert schedule, Maria has worked extensively as an accompanist, and in this capacity, worked as a member of staff at the Royal Northern College of Music for eight years. With her wide experience of working alongside both children and adults with learning difficulties, Maria has presented concerts and given workshops to socially disadvantaged people for years, working with the "Live Music Now!" scheme and 'Music In Hospitals'. Maria successfully completed an intensive Television Presenters Course with 'Pozitiv Productions', under the coaching of Glenn Kinsey, at Meridian Broadcasting Studios; her passion for presenting has led to her to giving workshops & concerts for children around the country. Maria now regularly entertains passengers with her headline act show on cruise liners around world. She has performed on 'Holland America', 'Crystal', 'Princess', 'Saga', 'Celebrity', 'Seabourne' as well as others, and in 2008 was invited to play on the final transatlantic crossing of the QE2. Maria and Zoë have given numerous recitals together over the years, and - having been course accompanist on several Flutes at the Barns courses in the UK over the years - Maria always looks forward to accompanying FATB flautists once again. 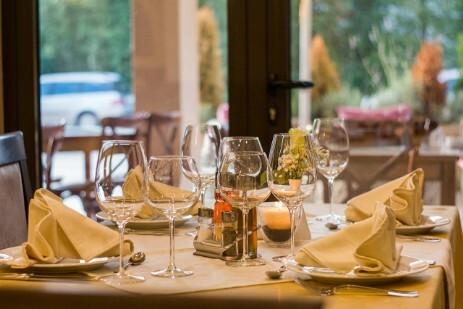 With over 25 years’ experience in the catering industry, David initially specialised in corporate event catering, covering areas such as high profile business lunches, conferences and seminars, and gourmet dinner parties. Demand led him into the areas of wedding and family occasions, before the final icing on the cake - providing an exclusive dinner party service directly to individual venues, including the beautiful Staffordshire and Derbyshire properties of Flutes at the Barns! David’s nothing-is-a-problem attitude has taken him in many directions, from providing the catering at a grand fifteenth century castle wedding, to a fish ‘n’ chip and champagne themed corporate event; David’s approach lends itself well to providing the tasty breakfasts, plentiful buffet lunches and elegant evening meals tailor-made to the flute-playing musicians of FATB. Outside of the catering world, David enjoys competitive running, taking part in organised races in and around the beautiful scenery of Cheshire and the Peak District and has completed marathons in many of the major cities in North America. He’s also taken part in ‘extreme running’ events, such as the ‘Marathon de Sables’and the North Pole Marathon. His ultimate dream is to run across America from New York to Los Angeles. David lives near Macclesfield, Cheshire with his wife and two young children who would rather he didn’t take part in the extreme events! !